Having made the decision to go the United States, the family of Johann Conrad Jäger (John Yeager) and Magdalena Spady (Lena Spady) departed from Norka, Russia in April of 1901. They traveled to the port of Hamburg, Germany where they departed on the steamship Pennsylvania, bound for New York. John and Magdalena arrived with their children; John Henry, Henry and Elizabeth on June 21, 1901. The ship manifest notes that they were going to the home of John Krieger in Portland, Oregon. John Henry was detained for several days, apparently for health reasons. 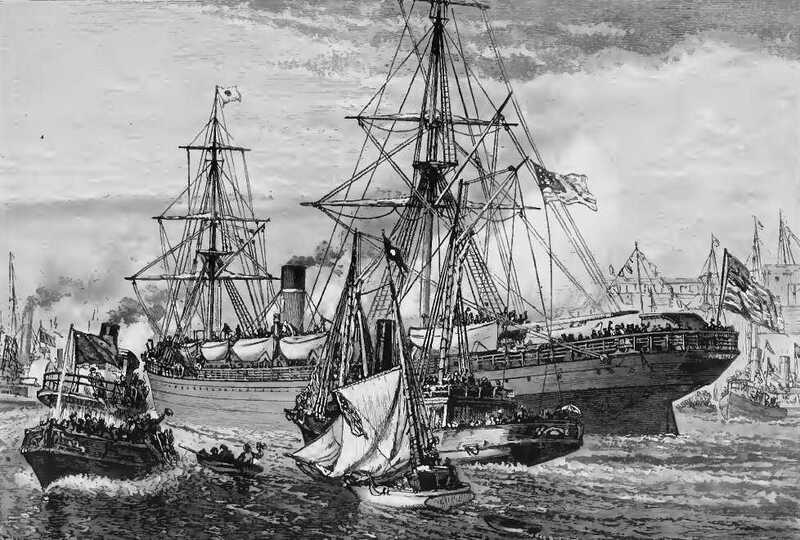 Steamship "Pennsylvania" in 1872 on its maiden voyage. Source: Wikipedia Commons. John and Lena welcomed two more children into the family; Margaret (1905) and Joseph (June 1907). Several of the Yeager siblings would become active in operating bakeries throughout the Northwest. John Henry married Bertie Lee Mashburn on October 22, 1910. Along with his brother Henry, John Henry and Bertie Lee founded the Yeager Bros. Bakery at 1977 E. Stark St. in the Montavilla district east of Portland. The business was later renamed the Montavilla Bakery. Elizabeth Yeager married Peter Walters and they founded Rotary Bread, a well known Portland bakery. 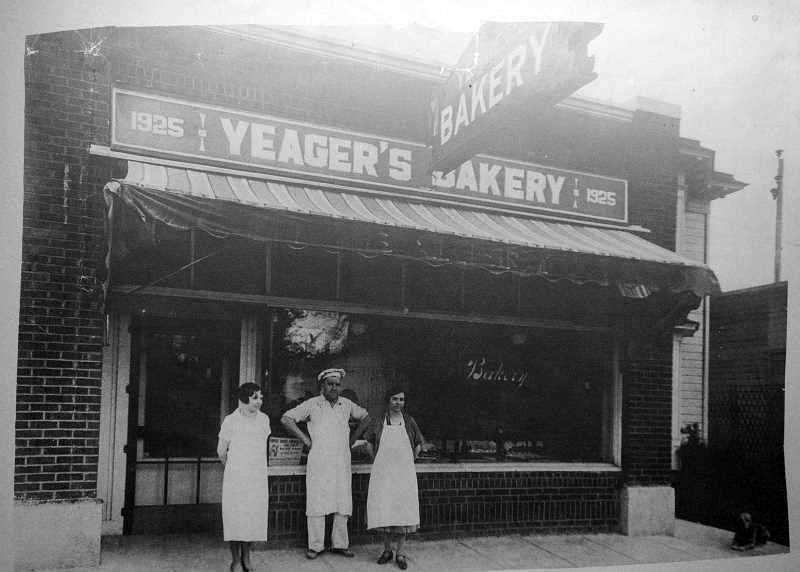 ​Joseph, married Beryl Plowman and they founded the Yeager Bakery in Beaverton in 1925. It was later named Beaverton Bakery. ​The Yeager's combined and converted the historic Robinson house and pharmacy into Yeager’s Bakery. Charles Schubert came to work at the bakery in 1952 and later purchased the business from the Yeager's in 1965. Yeager Bakery founded in 1915 in Beaverton, Oregon. Source: Ancestry.com. Current Beaverton Bakery storefront. Source: Unknown. 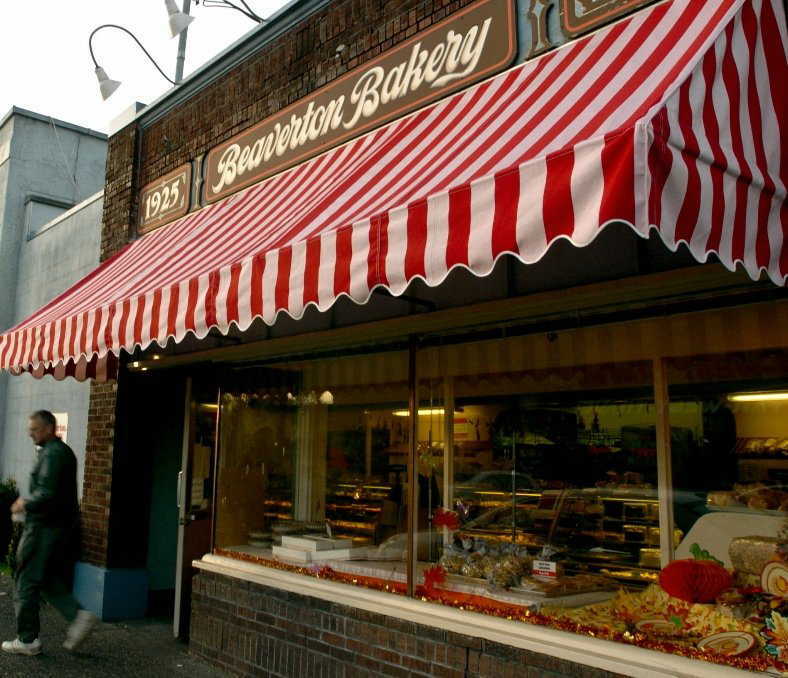 After 93 years of making some of the best baked goods in the Portland metro area, the Schubert family decided to close the Beaverton Bakery the weekend of September 29, 2018. 1914 Portland City Directory, Ship Manifest and U.S. Census Lists - Ancestry.com. Beaverton Bakery website. (26 September 2018). "Beaverton Bakery to close after nearly a century of cakes". OregonLive.com. 26 September 2018.